We love it when our customers are recognized for their achievements. The Boston Herald was just named one of three national finalists for the prestigious Innovator of the Year award by the Associated Press Media Editors for creating Boston Herald Radio and integrating the new platform with their multimedia newsroom. 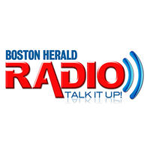 The Boston Herald was one of our first integrated media customers, and they have spurred us to add new functions and features to our Talk Radio products. We are proud to have a part in their continuing success.